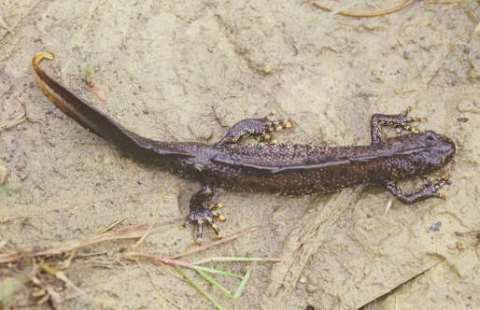 For many years now, the great crested newt has had to live with a bad name. Despite it being our most threatened newt, it’s gained a reputation for derailing housing development plans and giving developers a headache. The ‘newt stops hospital’ headline has become all too familiar. The great crested newt is a European protected species, and as a result, developers need to apply for a licence from us to disturb them. While our licensing work is critical to protecting important colonies of some of our most endangered species, this work has been criticised in some quarters for being rigid, prescriptive, disproportionate, and unable to offer a pragmatic solution. But we now have an alternative. Our new approach to protecting great crested newts is now in operation across Woking, Surrey. An organisational licence for Woking Borough Council will enable a long-term approach to the conservation of newts, ensuring efforts are focused on newt populations and habitat that will bring the greatest benefits to the species. It will also simplify the licensing process for developers where newts are present, saving them time and money. The project uses new technology to test ponds for the DNA of great crested newts, which indicates to developers and planners whether newts are present and saves considerable time over traditional surveying techniques. Development is then guided away from these areas towards more suitable sites, paving the way for much quicker and cheaper development in areas with fewer newts. After that, a plan is put in place to secure the extent of the species and enhance its main conservation requirements. This means identifying the right habitat and management, and agreeing a single licensing framework with the Local Planning Authority. This avoids the need for an individual licence to be obtained for each development and allows instant approvals for most developments, careful design in sensitive locations, and conservation funding delivered on the back of planning provisions. While the current licensing method places the emphasis on individual newts, rather than the species as a whole, through this project we can enhance populations of the great crested newts at a larger scale. We’re also looking at extending this further. We recently consulted on new policies for European Protected Species licensing that will mean great crested newts and other species such as bats can receive the protection they need, while still ensuring construction can be carried out in a timely, practical and environmentally-responsible way. The plan is pretty simple. We’ll look at what the species needs in a location – more habitat, and better linkage between existing areas of good habitat. Then, we’ll look at the extent and distribution of that species across the location. Finally, we’ll look at the development plans for that area, and where they are in relation to the areas important for newts. Overall, this new way of working turns the matter on its head. It gives planning certainty to the developer, avoids costly time delays and consultancy fees, and most importantly (at least if you are either a conservation organisation or a newt) all the money generated goes into directly providing the most valuable conservation effort that the species needs in that location. 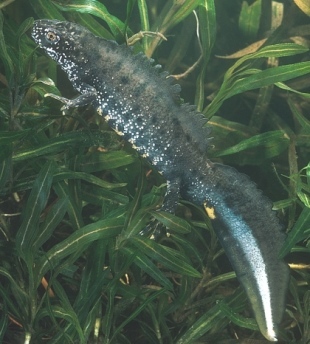 Find out more about great crested newt licensing. This is great to see. It will be interesting to see how the new approach works in Woking and how our team at <a href="https://arbtech.co.uk">Arbtech</a&gt; will need to adapt our approach. Great to see Arbtech updating their approach and acting to improve nature conservation!